Normally when given a video file that needed converting or transcoding before ingesting into Final Cut Pro I went to my old standby, MPEG Streamclip, a free downloadable application that has always worked for most everything I threw at it. This time, the MTS files given to me by a client wouldn't even be accepted by MPEG Streamclip. What to do? I then tried Red Giant's Magic Bullet Grinder, another excellent transcoding application, and the MTS file still could not be opened. Bottom line was that MTS and M2T files are not directly playable on Macs but they do contain media that Macs can play, both MPEG-2 and H.264. I was stuck, until I remembered that I was sent Divergent Media's 'ClipWrap' a few months ago. I hadn't had the chance to install and test it out and here was the perfect opportunity presenting itself. In the back of my mind I was thinking that if MPEG Streamclip couldn't do it, then I doubted that ClipWrap would. Boy, was I wrong! 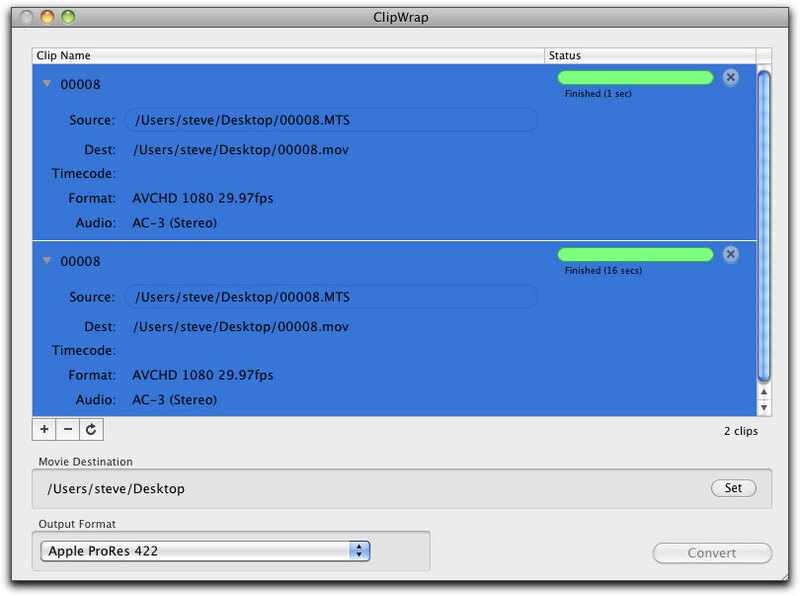 ClipWrap works by unlocking the content and rewrapping the file into a standard Quicktime file. The download and installation was a simple and typical process as was registering my serial number. There is no learning curve when using ClipWrap. It is as intuitive as any application can be. It opens as a single window where you can then drag your existing MTS, M2t, or M2ts files. Alternatively, you can click the plus sign at the lower left of the window to search for a file and add it, or use the minus symbol to delete a file that you have already brought into the window. Once installed I opened the application and dragged the MTS file over to ClipWrap window. It immediately took the file and waited for my instructions. I set the destination where I wanted the converted file to be saved to, clicked on the 'Convert' button and that was all I needed to do. 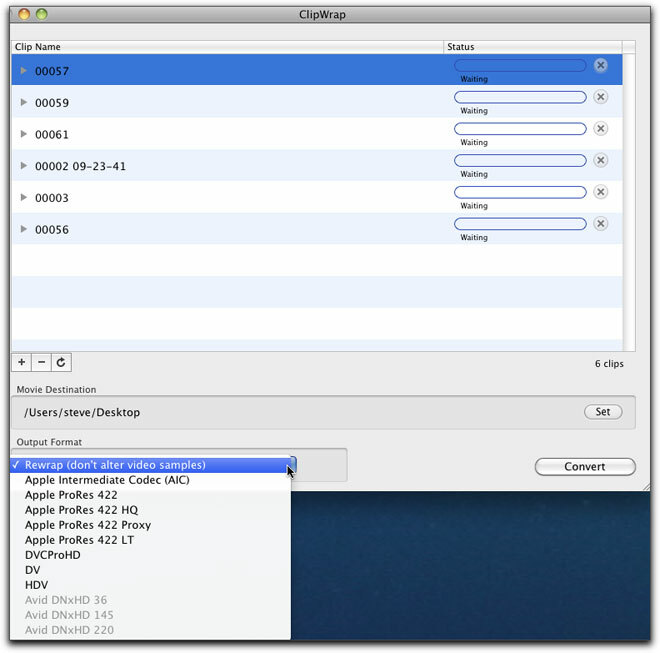 While ClipWrap is not, at its origin, meant to transcode files, it is perfectly capable of doing so without generational loss. ClipWrap works very fast. 'Blazing' is a better term for it as a 20 second MTS file took 1 second to re-wrap into QT H.264 and 16 seconds to rewrap and transcode to Pro Res 422. You can stack several files at once and either watch the process bar proceed or get yourself a speedy cup of java. Additionally, clicking on the disclosure triangle next to each file will display much of the metadata associated with the clip. 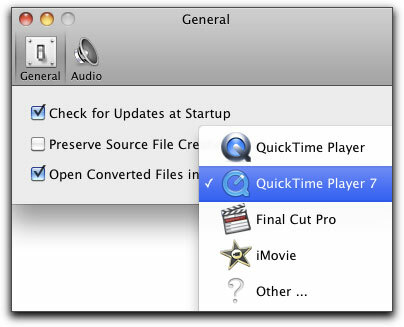 'Rewrap' in the Output Format section of the ClipWrap window is the default setting which will convert the MTS file to Quicktime. However, if you wish to transcode the file at the same time, you are given several codec choices to choose from. Select one and click on the 'Convert' button. ClipWrap's preferences are plain and simple without the need for many alterations. Updates are automatic though there is a 'check for updates' under its file menu. As shown below, there is also the opportunity to have the converted files open in your NLE or Quicktime wrapper of choice. It would be my recommendation to set your destination in ClipWrap to your project's capture scratch folder. Once rewrapping and transcoding is complete, I would then suggest that you open Final Cut Pro and import the files you converted in ClipWrap. Within the Audio Preferences you have the choice between creating either a Stereo or Multichannel Output for 5.1 surround audio. By default, ClipWrap will convert AC-3 5.1 channel surround sound audio into 6 discrete channels of audio. This allows you to have complete control over your audio layout. 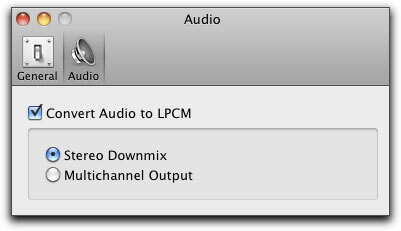 However, if you are editing in an older application, or are mixing 5.1 audio with more traditional stereo audio, you may wish to convert your 5.1 audio to 2 channel stereo. For those working with AVCHD camcorders producing MTS files, you can either import these files individually to ClipWrap or bring in the BDMV folder in its entirety. 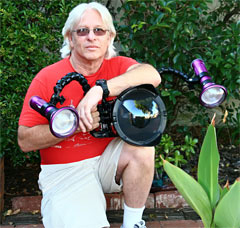 Because many of these AVCHD camcorders have recording file size limits, the camcorders will create multiple files to work around this limitation. These files then need to be rejoined during a rewrap or transcode so that playback is free from any glitches. Since AVCHD camcorders number their files sequentially, ClipWrap will parse the metadata from the camera to determine clip spanning and join them as one. 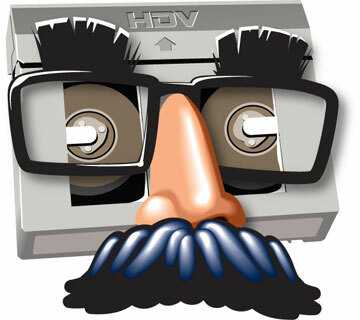 In this day of expensive applications and 3rd party plug ins that are often used infrequently, it is nice to find an application that not only is very inexpensive but, with the advent of more camcorders creating files not conducive to Macs, an app that really can save the day for both you and your client. In my opinion, both thumbs up for ClipWrap. It saved my day.